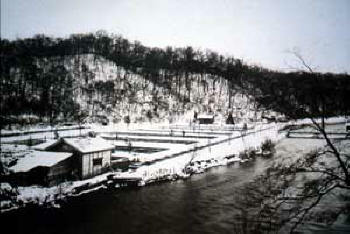 The first public salmon hatchery, the forerunner of Hokkaido Salmon Hatchery, began its operation in the upstream of the Chitose River. The Hokkaido Salmon Hatchery belonging to the Fisheries Agency of Japan was established under the Fish Resource Conservation Law. Artificial feeding experiment for chum salmon fry was launched. Coastal researches started to specify the habitat environments of juvenile chum salmon. Dry pellets were introduced to feed salmon fry in hatcheries. Japan-Chile Salmon Enhancement Project was conducted in the southern Patagonia. Coastal juvenile salmon researches emphasized a proper timing of hatchery releases to improve the early marine survival of salmon. Fish Pathology Section was established to examine the epidemiology and prevention of salmonid diseases. Active research and propagation of masu and sockeye salmon started. Gene Conservation Section was initiated to study and conserve the genetic diversity of salmon. Genetic stock identification of chum salmon was initiated in the high seas of the North Pacific Ocean to identify the oceanic migration route of Japanese stock. 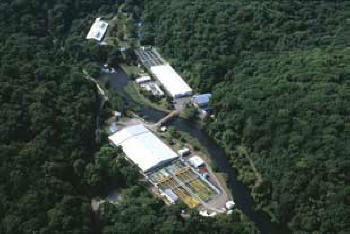 The Hokkaido Salmon Hatchery was reorganized to the National Salmon Resources Center (NASREC). Fisheries Economical Section was established to study salmon market systems. Survey on the natural spawning of chum salmon was initiated in the Yurrapu River. A concept for the conservation of genetic diversity was developed for proper salmon enhancement. Mass thermal otolith marking technology was introduced in the Chitose Field Station to survey the stock-specific migration and ecology of salmon. Juvenile salmon survey by genetic and otolith marks confirmed the distribution of Japanese chum salmon juveniles in the Okhotsk Sea during the fall. The NASREC was reformed as an Independent Administrative Institution. As a result of participating in the Bering-Aleutian Salmon International Surveys (BASIS), the distribution of Japanese chum salmon centered in the Bering Sea was clarified by genetic and otolith marks. All NASREC field stations were equipped with a thermal otolith marking facility to identify hatchery-specific individuals. The NASREC incorporated with the Fisheries Research Agency. Salmon Resources Research Section was established at the Japan Sea National Fisheries Research Institute and the Tohoku National Fisheries Research Institute to research and monitor salmon in Honshu.